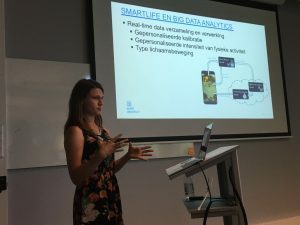 Published on June 15th 2018 – On Friday June 1st, the fifth symposium of the Amsterdam Center for Health Communication (ACHC) took place in Amsterdam. This tim e the symposium was titled ‘Digital (big) data and health communication: how research and practice are changing” and was chaired by Remco Sanders. During the afternoon, speakers from science and practice gave presentations about the foundations, opportunities, and applications of computational social science methods. The first of two keynote speeches was delivered by Dhavan V. Shah. During this keynote titled “Digital Traces and Social Ties: How Computational Social Science is Transforming Communication Research”, he delivered an overview of multiple possibilities for computational social science to enhance communication research and practical application for addiction prevention and treatment. Conrad S. Tucker delivered the second keynote speech titled “From Data to Knowledge: Leveraging the Power of Big Data and Machine Learning in Healthcare”. 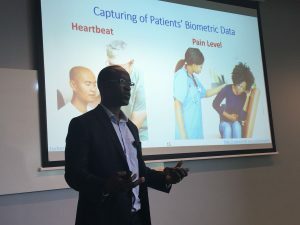 The second keynote speech both delved into the cornerstones of machine learning as well as the development of health care applications using machine learning. This opening was followed by presentations covering academic research into online health communities for cancer patients (Mies van Eenbergen), empowering processes in these communities (Suzan Verberne), the integration of the use of these communities into the broader communication setting of patients (Remco Sanders), and how people react to online postings of medical developments in diabetes (Hans Vehof). In the second round of talks, innovations using digital data were presented. This section was started off by an overview analysis of the Dutch health care with a focus on the opportunities and threats of digital data (Sandra Migchielsen), after which the development of an exergame using smart clothing was discussed(Ayla Schwarz). 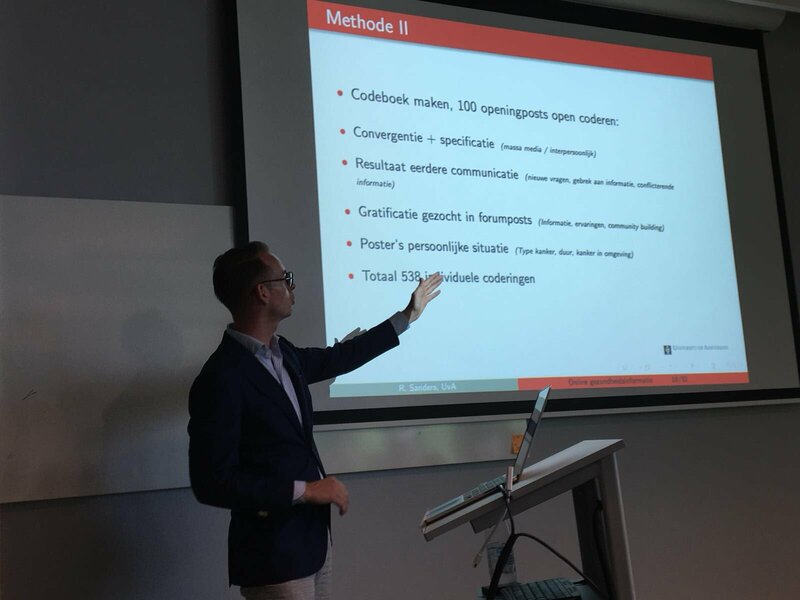 Finally, the use of machine learning in tools for personalizing medical decisions were presented (Daan de Bruin). The ACHC, as well as the people that were present, again look back at a very successful symposium, during which the interest of the audience ensured much interaction between speakers and audience. For those that would like to see some of the presentations – the slides can be found by following this link.